Seunta LLC model horse discounts and gift cards. Any discounts are now applied at checkout through the online store. Discounts have an expiration date. Discounts may be applied by using a code, other discounts may be deducted automatically. Discounts and gift certificates may not be used with payment plans. Seunta offers three different gift certificates. If the certificate is available it will be posted in the gift certificate section. Gift certificates can be gifted to someone else or yourself. Gift certificates contain a personalized message that you provide at the time of purchase. Gift certificate balances are maintained for you though the checkout system at Seunta. Gift certificates are applied towards any balance at checkout and may not be used with payment plans. THERE ARE NO REFUNDS ON GIFT CERTIFICATES. Please email if you have any questions before you purchase. A Gift of Artistry is a standard gift certificate available in different amounts that can be applied towards the purchase of any model for sale in the Seunta online store. It is a digital certificate that is emailed to the recipient. A Gift of Inspiration is a gift certificate available in different amounts that can be applied towards the resin reproduction of a specific size model. It is a digital certificate that is emailed to the recipient. It is a complete discounted package to produce at least 10 copies of a sculpture. Holiday Sale Item: Sold Out for 2017. A Gift of Enchantment is a standard gift certificate that can be applied towards the 3D scanning and printing of one model. It is a digital certificate that is emailed to the recipient. It is a complete package to produce at least one prototype that can then be used for reproduction (and may be used with a Gift of Inspiration). Select the gift card from its Products Page, and the gift card’s item page will open. Select a value from the drop-down menu, then click Purchase. The selection will go directly to the checkout page. In the Gift Card Delivery box on the checkout page, select Email to Recipient or Email to You. Once the recipient receives their Gift of Artistry card, they can redeem it by purchasing products and entering the gift card code at checkout. Gift of Artistry cards apply to the order total, including tax and shipping. If the order total exceeds the gift card value, they'll pay the remaining amount using Paypal. 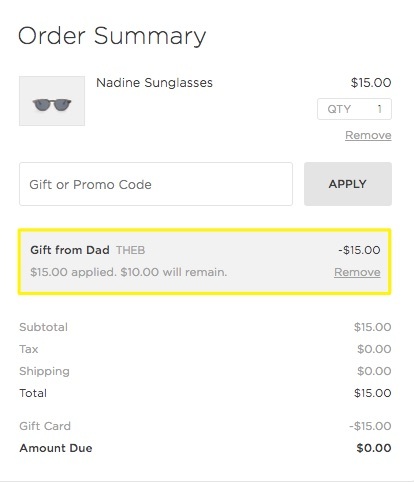 If their order total is less than the gift card value, they can complete checkout without another payment method. The amount applied and remaining value displays in the grey box and in the order receipt. Service gift cards (Gifts of Inspiration and Gifts of Enchantment) must be redeemed by contacting Seunta to schedule the service. Certain restrictions and guidelines may apply.